Height: 126mm | 4.9" Diameter: 52mm | 2"
These small glasses are suitable for drinking port, sherry or for your favourite liqueur. 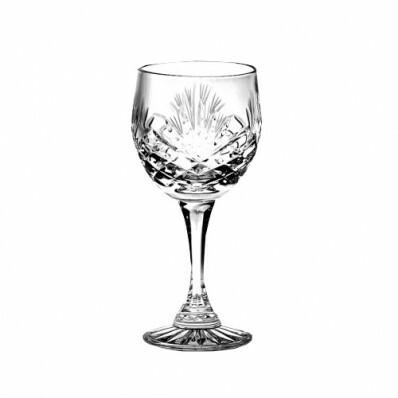 The Swarton Crystal Majestic range is our best value cut crystal glass and since 1986 Majestic has been one of our best selling wine suites. 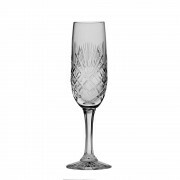 The glasses are made from 24% lead crystal glass and hand cut in the Zawierce Factory in Poland. Ordered these Swarton Majestic glasses last Wednesday and they arrived two days later on the Friday in perfect condition due to the excellent packaging. Very pleased with these glasses which are excellent value and will definitely from Havens again in the future. Thank you from a very satisfied customer. Sandra Jones, Otley, West Yorkshire. My daughter was delighted with these Swarton "Majestic" glasses. Very attractive. I would most definitely recommend Havens to anyone looking for glasses. I ordered port glasses and these arrived at my home 48 hours later. I was emailed with the information that they had been dispatched and on the day of delivery I received another email giving me a one hour slot for delivery which was exactly right. The glasses were extremely well packed and I was absolutely delighted with them. Extremely impressed with the service from this company. These glasses are really beautiful. I sent them as a gift, and the recipient was thrilled with them. They were packaged beautifully, and gift wrapped with a handwritten note! Great service.